the boudoir. : Brown's Latest Book! I'm getting a copy! Actually I just ordered the harcover copy from Amazon. It's Dan Brown's new book. Although I've got more than 50 unread books, books I got from my travels and exhibitions, I'm dying to read his new book. I have read three of his books, The Davinci Code (me a huge Davinci and Louvre fan), Angels & Demons (I'm so into the study of religions), and Digital Fortress.Don't you love fictional/fact mysteries! I do! I'm so imaginative you have no idea. I aced it all because of my great love of books since I was a little kid. 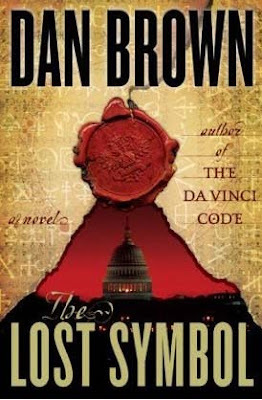 Again this is another Robert Langdon mystery. Yay! This book will be looking into the Masons, for you who have read Angels & Demons you may know about this group of people. They are a secret society founded hundreds of years ago, not so secret now. They're made up of the most powerful men around, US presidents are said to have been part of it. Yes they are real just like most topics looked upon on Brown's book. Supposedly the book's events will be taking place in Washington D.C. (I'm expecting a rise in tourism like the one that just happened in the Vatican in Rome, which is never short of visitors) and it will be a 12 hour experience. Ah! Suspence and thriller! Get your copy now y'all!